Beating A Retreat Test Dept. Strength Of Metal In Motion Test Dept. The Unacceptable Face Of Freedom Test Dept. Shoulder To Shoulder (Vinyl) Test Dept. European Network 1985 Test Dept. Tactics For Evolution Test Dept. 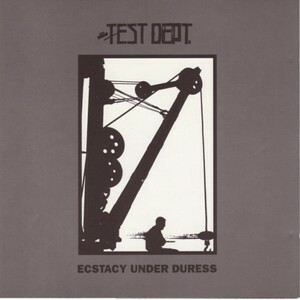 Beating The Retreat (Vinyl) Test Dept. The Unacceptable Face Of Freedom (Vinyl) Test Dept. Totality 1 & 2 Test Dept. A Good Night Out Test Dept. Atonal & Hamburg Test Dept. Proven In Action Test Dept. A Good Night Out (Vinyl) Test Dept. Pax Britannica (An Oratorio In Five Movements) Test Dept.